Art With Mr. E: Thought You Might Need A Smile!!!! In case you needed a smile....here ya go! This is my sweet baby boy Eli Edward. He is 2 months old now...and growin' like a weed!! He's 13 lbs and 23 inches long!! He is so sweet! 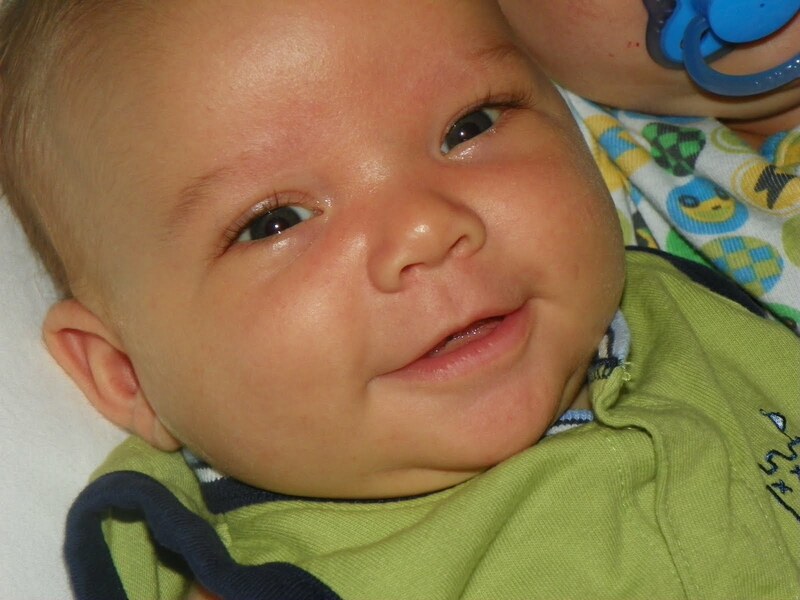 A smiling baby just melts my heart- thanks for sharing! He is very very cute! Congratulations on you sweet little masterpiece! Only 2 months! He looks like a real baby already! He is absolutely a gerber baby!